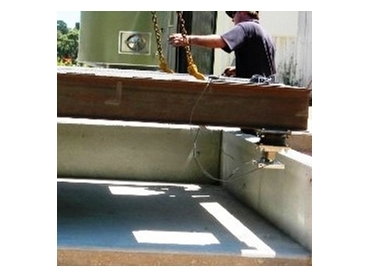 The Adelaide branch of Accuweigh has recently provided a set of heavy capacity platform scales to Possums Wines in SA. The heavy capacity platform scales will be used for receiving grapes at their Blewitt Springs Winery. The platform scales are fitted with four Kelba KA-5000kg loadcells fitted with optional rubber mounts to minimise the effects of torsional stresses incurred when the tractor hauling the heavily laden trolleys over the heavy capacity platform scales. The Kelba loadcells will also minimise shock loadings. Accuweigh has installed heavy capacity platform scales and grape receiving bins into 20+ wineries in South Australia during recent years, also a host of other weighing equipment ranging from laboratory balances up to multi-deck weighbridges.